I believe in the healing power of prayer and I believe in miracles. I have seen them and watched them happen in my life and the lives of those I love, over and over. This post is an going blog journal to share that journey and my prayer request for all who read here, or know any of the families involved. I have found that the Internet becomes the primary way for people who don't know addresses, or emails, or how to contact others that they have cared about but lost contact with over the years to share in the lives and the loss of those that we love. It is with the deepest of sadness that I let all of the Alaskan friends of my brother and his wife know that my sister in law, Becky, passed away during the night of end stage kidney failure while seeking medical treatment and living in Portland Oregon. Dr. Doug and three children, their spouses and 6 grandchildren survive him and are now even more cherished by Doug. I remember Becky as she was when she was young. Beautiful, vibrant, with a never ending sense of laughter and joy in all that she held dear. Please keep my brother, Doug, and all of their children,their spouses, and grandchildren in your thoughts and prayers. Thank you. 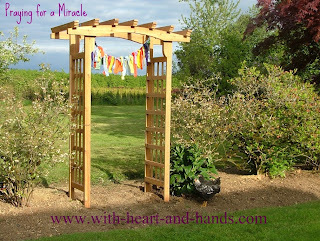 Praying for a Miracle: My Family's Ongoing Journey Through Major Illness and Loss. Older entries that are my ongoing journal and journey through hopes and prayers, miracles and loss. My Sister-in-law, Rebecca (Becky)Savikko of Eagle River, Alaska who has been in end stage kidney disease for the past five years, has been successfully medvac'd from Anchorage, where she has spent over 6 months hospitalized after a severe bacterial infection after surgery infected the implanted rod they had placed in her spine, to Portland Oregon. She is in surgery right now and is expected to be out of by later this afternoon. Doctors at the Oregon Health Science Center determined that they were willing to attempt a surgical procedure where all infected and now decayed bone would be removed from her spine as well as the infected surgical rod. The hope is that a new rod may be implanted that will allow her to once again be able to sit up on her own. Please pray that she will not only survive surgery in her extremely weakened conditon but that her surgical team can remove the decayed bone from her spine, successfully remove the infected rod that was implanted almost 7 months ago, and hopefully re-implant a new one and keep it and her from any more infections at the surgical site. Her husband, my brother, Doug, who battled severe infections of his own which resulted in almost non-stop brain seizures in 2012 and whom, all four of us, his siblings rushed to be by his side at Anchorages, Providence Hospital, as were told he was expected to die. He not only lived but was medevaced to Seattle's Harborview Hospital and after being hospitalized in four hospitals and three states, with me following him and being by his bedside and talking non stop to him, successfully came out of his coma and was able to return home to Alaska in May of 2013. He had his miracle of miracles and was able to return to Alaska in May of 2013. He is now in Portland, awaiting his wife's surgery and hopefully a return to any amount of better health that we can get for her. Doug is doing quite well considering the severity of his major health crisis and repeated infections as a result of long term hospitalization. 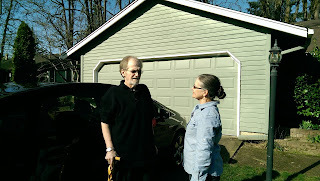 My husband, Larry, is almost fully recovered from his stroke of April of last year. Becky, continues to battle the challenges of needing a last ditch kidney transplant. She has been hospitalized in Anchorage, Alaska for many, many months following surgery for a metal rod in her spine in an attempt to allow her to sit upright again as her bones have continued to deteriorate. Instead, she caught a huge infection, cannot sit upright and therefore is not fit to travel unless her insurance is willing to pay to medavac her south for hospitalization here in Oregon, where she has to meet in person with the transplant committee in order to get back on their list. My best friend's son, Kelly continues to battle the side effect of his accident where he was crossing a marked and flashing lights pedestrian crosswalk while hit by an elderly man who ignored the lights and the crosswalk and plowed into him creating horrific brain trauma. Please keep him in your prayers and thoughts as he needs them, so. My husband is doing really well since his stroke in April of 2014. My brother is doing well (but is not as healthy as he needs to be) in spite of three medically induced comas and 6 months of hospitalizations in three states and four hospitals since 2012 on. 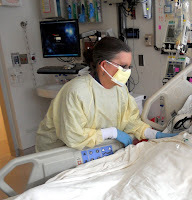 My 'oldest' SIL has been removed from the kidney transplant list due failure to maintain protocol visits and form regulations and continues to be in end stage kidney failure. My best friend's son, is failing to improve and has regressed due to continual seizures, will be on a lifelong feeding tube and in a wheelchair. The elderly man who struck him by driving through the marked and flashing light pedestrian walkway has steadfastly refused to accept responsibility for or give up driving and did not have his license revoked, even now at age 91 after causing severe and lifelong brain injuries to this wheelchair bound young man. He did community service by sitting and watching children play in his church Sunday School while he blames Kelly for being in the wrong place at the wrong time as he was driving through him. He is doing really, really well. Because of the unusual aspects of his stroke, none of the regular protocols or rehabilitative methods were called for and he has resumed regular, daily life. For him that meant back to work by the next Monday, as a small custom and very, very green home builder (www.bilyeugreen.com) here in the Willamette Valley of Oregon. We talk a lot about a lot of things for his speech therapy and he uses his slightly impaired right side more by practicing with the wonderful gift of a compound bow from our son and son-in-law. His last bow was 30 some years old and while the new one looks like medieval weaponry, he got all six arrows into the inner circle thanks to muscle memory and improved technology for bows with a sight and cross hairs! His blood pressure remains excellent, cholesterol level well controlled, and his attitude is wonderful for someone who still has to work and work hard and long for a living instead of being able to retire and let his wife (who has no viable income since she does everything for free) support him. He is doing great!! My SIL, Shelley, has survived Stage 4 Lung Cancer for a full 6 months and now more, and now cekebrates the birth of her 2nd grandchild. While the first chemo drug is no longer effective, she began a second one, it has no longer effective, and may try a third. She and my brother will fly to see all members of her family in late July and visit her grandchildren, including seeing her newest one for the first time. She is a fighter and neither she, nor my brother, have given up hope of a miracle. My brother, Doug, and his wife, Rebecca, of Eagle River AK, are still doing as well as can be expected with challenging illnesses and lives. I talk by phone to them weekly but miss being able to see them for a day a week and help out as I did in 2012 and 2013. My brother tells me that he has reached a place of gratitude just to be where they both are..alive and doing better than most people would be doing in their place. My dear friend's (since 1968!) friend's 33 year old son is working hard to regain the small advances he worked so very hard to gain after being hit by an elderly driver in a marked and flashing light pedestrian crosswalk. He will be on a feeding tube and wheelchair bound for life but his loving family seeks to keep him connected with ipad viewings from their home of his young nephews whom he seems to connect with. He has not maintained his advances due to continued seizures. Please pray for a cessation of any and all seizures so he may have even small progresses instead of losses and returns to his previous state. It's all a challenge! We all just do the best we can with whatever we've got or what we can gain! Last week, I was busy hoping and praying that my own brother would revitalize after a third, no wait, fourth visit via paramedics to his home in Eagle River, Alaska as he was once again rushed to the E.R. in Anchorage with pneumonia.My brother got stronger after this now 5th attack of viral/bacterial pneumonia and was allowed to return to home. Then, the next day, his wife, Rebecca, who suffers from end stage kidney disease, was at one of her tri-weekly dialysis treatments, when she "crashed and burned" as the medical professionals reported. Her blood pressure became so exceedingly hypertensive that she passed out and her lungs filled with fluid. Again, with both viral, and bacterial pneumonia. Now, after many days, she is home, as well. My other sister-in-law, Shelley, with advanced stage 4 and metastasized lung cancer has been placed on a maintenance level of chemo, meaning they have done their best, and now let's pray for a holding pattern for as long as that is possible. And my dear friend's son, Kelly, who was hit by an elderly driver as he crossed a marked and flashing lights crosswalk, continues to need our prayers for all things, in all ways. Life is filled with loss, filled with challenges. Life is filled with the color, the sounds, the feelings of love. 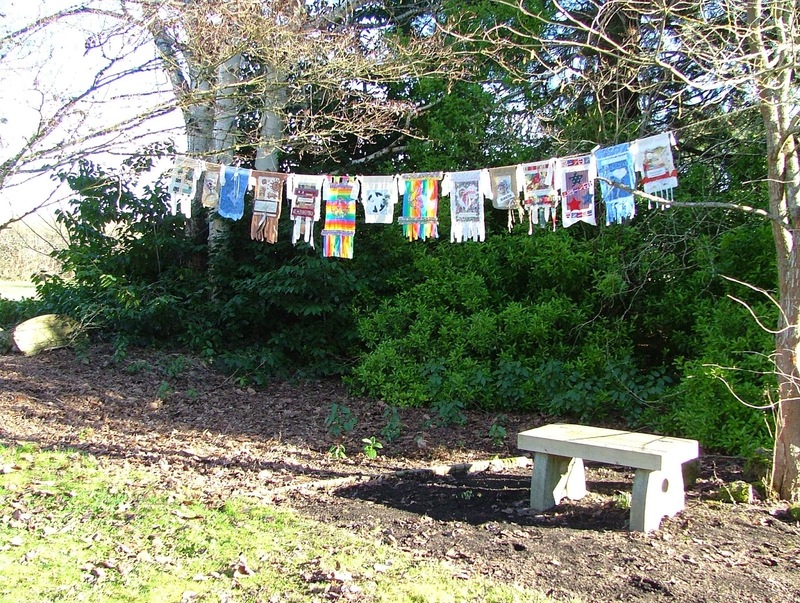 As I continue to make and share my prayer flags with as many as I can. I reach as high and as far, as I possibly can and the color of love in my world is sent along the winds of the volumes of love in my heart to everyone, everywhere. My brother Doug, has another case of pneumonia, and was rushed by ambulance from Eagle River to Anchorage. Today, they once again intubated him, and put him into another medically induced coma. We had our major miracle in June of 2012 when he lived after we all rushed to his 'deathbed' in June of 2012. I was with him in 4 hospitals and 3 states for the next 6 months. He not only survived, he came out of the coma, eventually off the trach, got his speech and walking back, and his personality. He has had one other severe case of pneumonia since then, but this time is apparently worse, once again. Please keep him in your positive thoughts and prayers, as well as his wife, Becky, who is in end stage kidney failure and has yet to receive a kidney transplant. Shelley: My SIl, Shelley did fine through her 4th chemo session (see below) and will fly from Juneau to Seattle again on Feb. 20th for the 5th chemo. They will probably switch chemo drugs again in order to trick the disease process into another good outcome instead of building up defenses against the chemo, as is the pattern with chemotherapy. My SIL, Shelley, is watching the Super Bowl today in Seattle after having flown south from Juneau, yesterday. She is a HUGE Seattle Seahawks fan. She has her 4 th chemo in Seattle, tomorrow. Her tumors have responded to the chemo and shrunk by 50%. This is an excellent but usual temporary prognosis of improvement. The miracle we are praying for is that she can live until the birth of her grandchild in May. She knows her disease is terminal and that she is in the final stage of this cancer, and its true you mind and your heart do play games on you and you begin to believe in more than you may be able to have, but this miracle of living longer is a very real possibility...if only the chemo continues to beat its odds of continuing to hold the cancer at bay. We are praying for Shelley. My best friends, son who was hit by the car in a crossing pedestrian cross walk had a set back before Christmas. We hold Kelly in our thoughts that he can rise back up from the seizures and regain the use of his right hand and other improvements of recognition and understanding once again. My other SIL in Eagle River, Alaska is having problems with the fistulas for her end stage kidney dialysis treatments. May a kidney please be found soon. May my other sister in law in Douglas find relieve from the constant pain from her recent foot surgery. In comparison to our other family members, this is light, but pain is pain especially when we are the one feeling consumed by it! I am asking for prayers for the wife of my youngest brother. Her name is Shelley, and she is traveling from their home in Juneau, Alaska to Seattle, Washington, once again on December 19th. January 8th and 9th for additional chemotherapy. This will be her third chemo since diagnosis. Shelley has been diagnosed with Stage 4 Small Cell Squamous Carcinoma. This is the most common and most serious form of lung cancer that by its designation as Stage 4 has already metastasized, or spread to other organs. It is usually symptom-less until it has already reached this stage. She is part of the Seattle Cancer Care Alliance, where she has gone through additional testing, and been given choices as to treatments versus palliative care options.They are not giving up, but wanting to do anything that they can to prolong not only her life, but the quality of her life, for as long as she can be given. Shelley has just found out that she will be a 'grandmimi' for the second time. Her hope and deepest prayer, is that she can survive chemotherapy and that somehow it will work, and will help her to live long enough to see her second grandchild be born in Washington State. She has one other grandchild. a beautiful little granddaughter from another son in Tennessee, that she loves more than life, itself. But when one is told that they have a terminal and untreatable form of advanced cancer with no chance of a cure, the only hope one has for a miracle must come in the form of living longer ...longer than perhaps even doctors might expect...in order to have this miracle occur. I pray for this miracle for Shelley. It is now mid-January, and my SIL, Shelley just had her third chemotherapy treatment. There is signs of tumor shrinkage, which is in itself, a miracle for this stage of advanced lung cancer. We continue to hope and pray that she can maintain this for additional time with her loved ones. I have four younger brothers, and this year alone, I have had another brother, his wife, my mother, and one of my best friend's son, all face life or death challenges. This now is the fifth life battle of people that I love and care for in one year. As my oldest of my younger brothers told me, "Michele, we are in our second stage of life now, where more and more of these things happen." This brother is the doctor who battled severe brain inflammation and non-stop brain seizures and was medevac'd from Anchorage to Seattle last June. I followed him to 3 different states and 4 different hospitals, praying for a miracle and doing everything I do best (non stop talking ;-) to bring him out of the coma and back to us. This brother had his miracle of miracles, and is almost back to full health. His wife, my SIL, Rebecca Savikko, is still awaiting a desperately needed kidney transplant of an O+kidney with high antibody titers. 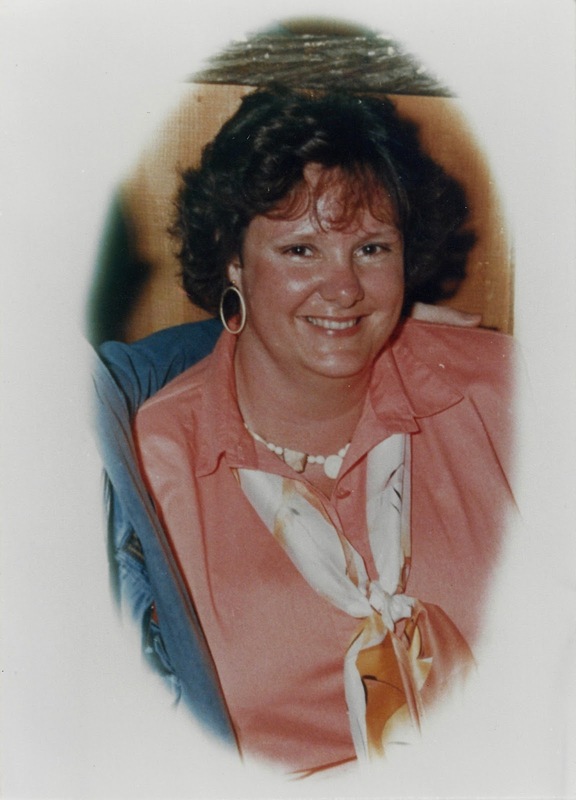 My mother passed away on Sept. 8, 2013 but was given time beyond her time after surviving Stage 3b Inflammatory Breast Cancer for 10 years to die after many, many challenging years with Alzheimer's Disease. She was 88 and lived a challenging but good life with a loving husband and five children, many grandchildren and 3 great grandchildren. I had both my mom and my dad come to live with me in Oregon, after they were given too many delays in Seattle. They lived with me for 9 full months and I learned so much from this experience, including taking courses and passing a test to do full cleansing of her chemotherapy heart catheter (wearing a gown, gloves, mask) in our home, once a week. She not only survived that, but a mastectomy and radiation. This journey was not an easy one but a miracle in so many ways, none the less. My close friend's (we met in 1968) son, Kelly, is living in a long term care home after suffering severe head trauma after being hit by an elderly man who was driving very fast, right through a marked and flashing lights pedestrian crossing, in April of 2012. Kelly is on a feeding tube and is trying to learn to swallow so as to be able to eat real food again. He recognizes family members, and has the use of his hands and often even a sense of humor. That he lived was a miracle, that he has had improvements are many more. I keep him in my heart and ongoing prayers,as always. The goal is to get him off of the feeding tube, eating and drinking again, and reducing his seizures. I am updating my official "Praying for a Miracle" blog post to reflect the almost year long journey that our family has been on as we gathered together to pray for a dying brother in Anchorage, Alaska on June 8, 2012 to wishing him and his wife, Godspeed as they now return....so many, many months later...to their home in Eagle River Alaska. His medical memories as a doctor are fully intact (he is a brilliant and deeply caring medical doctor who was previously in family practice in Eagle River, Alaska) and his physical, mental condition almost fully restored in all ways. Such an amazing journey filled with so many experiences! 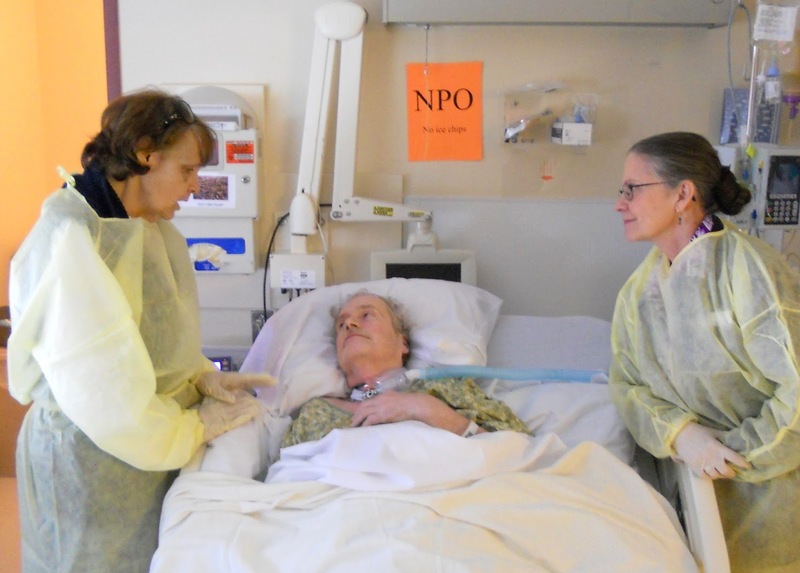 His wife continues to need a kidney transplant, however, so our prayers now focus on Rebecca Savikko, who needs a O+ kidney without or without high antibody titers. Please, please let us know if you are willing to donate a kidney or have a loved one who is able to do this and save her life. My brother has left Portland, Oregon on a road trip via Alcan Hwy and Alaska State Ferry System for his home in Eagle River, Alaska. Our next brother down in age, is accompanying him while Doug's wife, Rebecca flies home ahead of their week and a half long trip... via road, ferry, then road again, trip home. My brother and his wife are both doing well and hope to return to their Eagle River/Anchorage, Alaska home within the upcoming months. My brother, Douglas Savikko of Eagle River, Alaska has reached a pot of gold at the end of the miracles rainbow. He drove HIMSELF and his WIFE down to visit us and share a dinner this past Sunday.Doctors in Anchorage didn't think he would live. Doctors in Seattle knew he'd not only lived but survived being medevac'd to their hospital in his coma. Doctors in Portland, knew he'd come out of his coma in Seattle, and recognized me and smiled... and now realized that he'd lived, had at least some mental faculties, and had his trach tube removed within two months in this Portland specialty hospital. Eventually, he was released to a rehab facility in Hillsboro Oregon, he regained the use of legs and his strength and all other faculties.Released to go to a family home by December of 2012..he is himself in almost all ways! June 8th...rushed by ambulance with a severe case of the flu through November and then into December of 2012 to now....one blessing, one miracle, after another! Please read the continuing story below all of the updates for both himself, and his wife, Rebecca Savikko. Please continue to pray for his wife, Rebecca who continues to need a kidney transplant..read below for Becky's story over the past 2 plus years. She is now seeking to be on the transplant in Oregon, as well as Seattle, Washington. My dear friend of 40 plus year's son: Kelly continues to recuperate from being severely injured while crossing a marked and flashing light intersection pedestrian crosswalk. 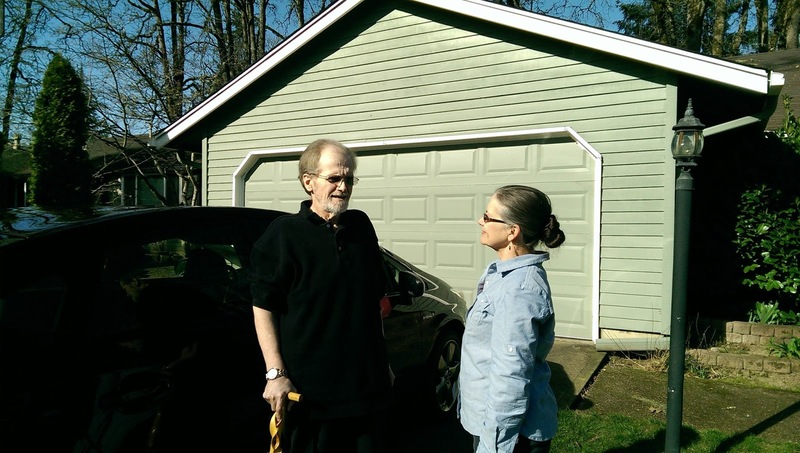 Surviving extensive brain damage and being written off as not further improving at a large skilled nursed home in South Salem, his parents fought to have him released to a private neurological care home in Philomath. He is now making thumbs up signals for 'yes' and shaking his head for 'no'. A long and challenging struggle for Kelly, his loving family, and for the care givers in the new care home who believe in miracles and continuing work with him to get improvement in communication and other abilities. My Mother: My mom is still alive, but now in her 8th year of advanced Alzheimer's. We pray only for her caregivers, my own family members of two brothers and two sister in laws who care for her every single physical need with the utmost love and respect for her condition. They feed her by hand, bathe her, dress her, and read "Little House on the Prairie" all of the books three full times now, and "Anne of Green Gables". She seems to enjoy the sound of their voices and to respond to them and their love. I am so grateful that they took over when my father passed away in August of 2010 and I could no longer care for her by myself since I could neither lift nor carry her. God Bless all Care Givers! December 2012 Update: My brother, Douglas Savikko of Eagle River, Alaska has been blessed by a miracle. He has survived being in a coma for many, many months, on a ventilator for longer than average usage, had a trach/tracheostomy for several months, come out of his coma in his coma, learned to mouth words, then speak with a capped trach, then learned to speak, to use his arms, then his legs, and is now walking with a walker and being released to his daughter's home to rejoin his wife, who is staying now in Beaverton, Oregon. He has most of, if not all of his faculties, and is working to regain memory gaps from the long confine, the horrendous seizures and brain inflammation or encephalitis. Doug is walking, talking, living, remembering proof that prayer and positive thinking, hard, hard work and the love and devotion of family, can work miracles. He will continue to live and recuperate their as his wife, Becky continues to seek her own medical care. Please hold my sister-in-law, Becky in your thoughts and prayers..even just one quick positive affirmation for her life. Miracles do not always come in the shape and forms we hope for. While we continue to prayer for the steps leading to a kidney transplant, I also pray that she have the gift of gratitude for all that she has been blessed with in spite of life's horrible challenges. May the time she shares now with my brother and their family be blessed with love and joy. I also continue to pray for my dear friend of over 40 year's son, Kelly, Hit by an elderly driver as he crossed a marked and flashing light pedestrian crosswalk, he suffered severe and untreatable head trauma. His family fought for his life and he has now survived since April 15, 2012's accident. Now, they fight for his release from the 'skilled' nursing center and all of their mishaps so that he can be placed in a private adult foster care home where the owner has been trained to deal with and care for neurological deficits. I pray that Kelly will regain the power of speech and be able to recognize his loved ones with attention and awareness. For these things I do pray. Any blessing that is beyond any and all expectations is a miracle. Back Stories and Updates from this original post begun last year: To see them in sequence with photos etc. click on the label 'praying for a miracle' or 'hearts and hands' at the very bottom of this post. My brother, Douglas Savikko, spent all of June in Alaska Providence Hospital in Anchorage, Alaska fighting for his life, on a ventilator and with constant brain inflammation and seizures. My brother, Douglas Savikko, spent all of July in Seattle, Washington with his life no longer in jeopardy, but his diagnosis and prognosis uncertain. But the seizures had had stopped and his deep, deep sedation was lifted slightly. I moved to Seattle and lived in a hotel for an entire week, visiting his up to four times a day and also visiting his wife, Rebecca , who had flow down in a commercial jet as my brother was medevaced in a medical transport Lear jet. Rebecca, who is in end stage kidney failure and on the kidney transplant list, slipped on her very first day in Seattle, in the hospital, and broke her pelvis. My brother has now spent all of the month of August and September at Vibra Medical Center, in Portland, Oregon. We used a medical transport from Seattle to Portland so as to maintain all of his oxygen assisted breathing through his tracheotomy, and keep him stable and free of the brain seizures. My brother is moving to the Avamere Nursing Home and Rehab Center in Hillsboro, OR first week of October. He will regain his strength to sit up again, to learn to stand, and eventually to walk. He has all of his intellectual faculties just some big gaps (to be expected) in his memory after being in a coma and then, waking from the coma all of these 4 1/2 months. His wife, my SIL, Becky, moved to Beaverton, Oregon to be nearer to him in Portland, and is staying with family, there. In Beaverton, she fell again and broke her pelvis. She now is healing from the broken hip, pelvis, dealing with osteoporosis and needing a kidney transplant. My almost 97 (96 3/4) mother in law, Dorothy, has just been diagnosed with advanced metastasized bone cancer. We try to see her every single day for several hours each visit. She is doing as well as can be expected. And of course, my own beloved mother, Nellie Grace, is now in her 8th year of advanced Alzheimer's. I send her love and healing grace every day that she may continue to live her life with the most amazing sense of spiritual presence in all of our lives,in spite of all of this terrible disease. I am asking for miracles for my brother, Douglas Savikko, of Eagle River Ak, as he continues his battle against a June 8th diagnosis of MRSA Pneumonia which precipitated an auto-immune response similar to ADEM which created a great deal of brain inflammation and continual seizures. Follow his Crisis and his journey from critical care hospitalization at Alaska Providence Medical Center in Anchorage, Alaska and all of its Providence, Divine and Otherwise steps along the way to my Song of the Hills and an Air Flight Medevac to Seattle and then my continuing journey at his bedside in Anchorage back to Salem to Sisters to Seattle as I have prayed for One Miracle at a Time and faced Two Steps Forward, One Step Back. UPDATE: My brother is now in Oregon at the Vibra Specialty Hospital in Portland, OR. I am visiting him for a full day each week, taking breaks as I try to bring him out of his waking coma state back into full health and healing..the best that it may someday be. We have been told that the seizures most likely will have created brain trauma and will require lengthy hospitalization and a full year of hard, hard work on all of our parts to bring him back to us, the best we can! I am also asking for positive thoughts and prayers for Doug's wife, my sister-in-law, Rebecca Savikko, also of Eagle River as she needs a miracle kidney donation of O+ with high antibodies titers for my sister-in-law, Rebecca Savikko, of Eagle River, Alaska. Besides needing the donation of a kidney, she flew south on a commercial flight to be with my brother, Doug..her husband, as he was medvac'ed from Anchorage to Seattle. Becky fell in the hospital, her first day there, and broke her hip and had to have surgery, a plate and three screws. Then she had another osteoporosis break in Portland and broke her pelvis. It has only compounded her challenges and all of ours as we continue to support her, as well. I am also asking for prayers, for the 30 year old son of one of my best friends from college. The family has only lived a few towns over for all of these years, so I have watched Kelly as he grew up and became an independent young man. It was devastating to learn that he was hit by a car driven by an elderly man who saw the pedestrian crosswalk, saw the flashing lights but did not see Kelly, as he was walking across. Kelly sustained severe brain trauma as well as other serious damages. He has been in a coma since April 15, and we are praying for as much awareness and potential recovery of any kind that might allow him to be aware of his family and friends that surround and support him. All at the the same, time, my own 96 1/2 year old mother-in-law, has been hospitalized and had surgery and has been in a deteriorating state. UPDATE: After 3 weeks in a nursing home, with our daily visits, encouragement and prayers, she has now returned to the five bed care home near us. I spend a minimum of 2 hours with her each day, doing my best to lift her spirits and make this stage of life as meaningful as possible. And my own 87 year old mother, now entering her 8th year of Alzheimer's Disease, remains completely bedridden in our childhood home in Douglas (Island) Alaska. Our family continues to take care of her, completely by ourselves, as she has not been eligible for the limits resources available in the landlocked community of Juneau-Douglas. As in many places, even her being blind, bedridden, severely diabetic and having advanced Alzheimer's for years and years does not qualify her for hospice and make even a few visits of care available to us. Please prayer that those departments will open their hearts, hands, and minds to the reality of Alzheimer's Disease and the incredible drain and strain it puts on family members who must lift, carry, change, and feed their own mother all day long. Our hearts are hurting and our backs wracked with pain and strain as the strongest of my brothers has moved in with her, with his family, for 24 hour a day care as the rest of us come and go to offer help as we can. All are not equal but all are equally as hard. Such are the challenges of all of our lives. Never the less, I share them here, to let you all know that you are not alone and that my heart goes out to all of you for your own challenges and struggles. The original post for this was dated May 12, 2012 and asked everyone who reads here to join me as we are Praying for a Miracle. Becky began to experience severe kidney failure in February of 2010. We were told she would not survive the 30 minute Coast Guard helicopter emergency airlift to the nearest hospital..but she did. She is an incredible fighter and prayers from around the world were said on her behalf. Becky was in a coma for almost two weeks. She underwent multiple blood transfusions, an extended coma, and many complications. But she did survive all of that, as well. Becky undergoes kidney dialysis for 3 to 4 times a week, 4 to 5 hours a day and cannot live without it. Unfortunately, there is a limit to how long one can survive under these conditions and we are becoming more and more desperate to find her a kidney donation. Her chances might be slim...but seriously...that is what miracles are for. It has taken all this time to even get her on the Kidney Transplant Database List and then she was removed from it last year. Prior to that she was turned down by hospitals in Portland, Oregon and Seattle, Washington because of the complications of her situation. Becky's blood type is O+, but because of the severity of the damage and the need for multiple blood transfusions resulting in sepsis, Becky's blood developed antibodies. Statistically, it usually takes two to five years to find a suitable organ donor for someone, but because of these high antibodies the wait is more likely six to fifteen...and the deterioration usually takes effect and dialysis fails before you reach that point. Her one, and only hope, is a perfect donor match with the O+ kidney of someone else with high antibodies titers. So, they are looking at one of those cross kidney chain donation swaps. Her son-in-law would donate a kidney to someone who desperately needs his O+ one, one of their relatives would then donate a kidney to someone who needs theirs..on and on..and hopefully only a four way swap until we get a match of O+ with high antibodies for Becky. Otherwise, we just plain need the perfect kidney to simply be donated to her, directly. Please pray for this miracle..that we will find a perfect match or a chain of donors leading to that perfect match. We need a gateway, a pathway, and a prayer filled chain of miracles leading right to Rebecca (Becky) Savikko of Eagle River, Alaska. Please help me, help her. The Internet has provided miracles such as these just by posting and re-posting of links on blogs and on Facebook. I am trying to catalyze the possibility of just such a chain of events by using my blog and my own facebook links. In order for this to work, I need every single one of you who reads this, to just place this link at the bottom of a recent blog post on your own blog for me, or a separate post if you wanted to do that...anything at all will help..something that will make others come and read her story and be willing to pass the links on and on and on. Please...it is seriously time for a miracle. Pray that we will find one and she will stay healthy long enough to face the surgery and recuperation from that surgery. Thank you so very, very much. 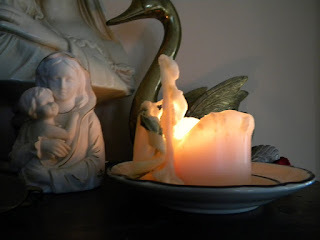 As you celebrate Mother's Day, or count all of your own blessings and things you are most grateful for...please just post even this link to this on your own blog, thank you! And you are welcome to copy and paste my own little prayer arch along with the link. Please spread the word by posting this blog post link on your own blog...even just as the end of any blog post of your own...or link to it on Facebook! If you are on facebook, grab my link there and share it, as well. This will take a miracle to find a miracle! But I believe in the power of prayer, of thoughts and hearts open and united as one, and I especially believe in miracles!
. "please help me, my family, and my brother Doug, by lighting a candle or saying a prayer for his wife, my sister-in-law, Becky, of Eagle River, Alaska...."
..."Our vigil continues...but my dear sister-in-law, on her 10th day of a coma, is now at least off of the ventilator...."
When I committed to my light a candle, say a prayer....vigil, I did so with everything I had in me. A candle has spread its glow, as well as all of your prayers, across the thousands of miles from Douglas, Alaska to Key West, Florida, where she was flown by Coast Guard helicopter off of a vacation cruise ship. ..."After 12 days in a coma and 9 on a ventilator, my S-I-L, Becky, has now regained consciousness and is stable and doing amazingly well....."
NOTE: Please also pray for my dear friend's son, Kelly, who was hit by a car on April 15, 2012 by an elderly man who admitted he saw the crosswalk, saw the flashing lights but since he didn't see anyone ..he kept on going. Kelly sustained severe head injuries and and has severe brain trauma. He has yet to come out of a coma and has been moved to a long term intensive care center. This is so heart breaking and needs one huge miracle, as well. Due to the nature of the car accident, and legal issues, I am keeping this post short, for now. Update:Kelly is considered to be out of the coma, many months later..but has extremely limited mental or physical abilities. It is beyond tragic to have 'accidents' of this kind happen to anyone. Imagine if this happened to someone you love. If you are in your 80's or your 90's and you are still driving..or a family member is..please think of Kelly Ball and hold him in your thoughts and prayers. Please pray for my brother, Douglas Savikko, of Eagle River Alaska. This is Rebecca's husband. As a doctor, himself, he contracted severe bilateral pneumonia and was rushed to the ER in the early morning hours following his 60th birthday. He has been in the hospital for 3 weeks now...as of 6-30-12. He has a severe case of MRSA , the drug resistant staph infection and it is not responding to massive does of antibiotics and he has a mass in his brain that is causing brain seizures. Read about his critical condition and need for combine thoughts and prayers at linking title, above. I have flown from Oregon to Anchorage to be with him. Shown above: my own backyard prayer arch with Rebecca Savikko, Eagle River Alaska written on one of the little prayer flag ribbons as I send this request and my own prayers out into the Universe. Michele Bilyeu blogs With Heart and Hands as she shares a quilting journey through her life in Salem, Oregon and Douglas, Alaska. 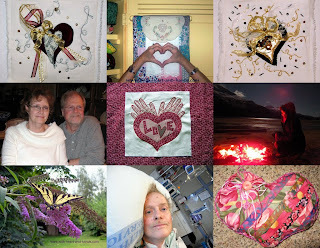 Sharing thousands of links to Free Quilt and Quilt Block Patterns and encouraging others to join in her Liberated Quilting Challenge for the Alzheimer's Art Quilt Initiative (AAQI) Help us change the world, one little quilt at a time! Your sister in law is in my thoughts and prayers. Michele, you and your sister in law are in my thoughts & prayers. Keeping your sister-in-law and family in my prayers! She and your family are in my prayers. Sending good thoughts and prayers along with everyone elses to your sis in law. Lots of best wishes and a successful discovery of the perfect kidney for transplant. I saw this on Deborah's blog. My prayers go out to you. I am praying for Becky, you and your families. I put a link on Facebook. Miracles happen everyday and I pray yours comes soon. 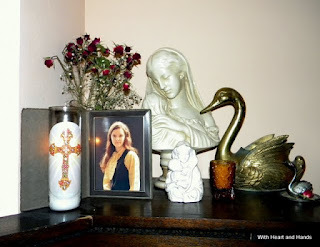 I'll light a candle and keep your sil in my prayers. Becky and her family are in my prayers. I have posted this on Facebook. Adding the prayers of my family to those of so many others . . .
Sending positive thoughts and prayers out for your sister-in-law. I will gladly help to increase awareness. Oh and G+'d it too. Holding all of Rebecca's family in my prayers... Praying for Rebecca that she is able to stay strong and continue to fight. Praying for her medical team as they continue to treat her and meet her medical needs. Praying that a donor maybe found quickly. Prayers are headed to Rebecca. My middle nephew went through this 3 years ago. His oldest brother donated his kidney and both are doing fine. Prayers going up for your sister-in-law... for your entire family... and for a miracle!!! I pray your miracle will occur for your sister-in-law. I believe it will happen. SewCalGal made me aware of this effort....praying and passing the word along. Miracles happen! You are all in my thoughts and prayers! Your family has been through so much, I can't believe it all. Keep the faith! Praying for Becky and her entire family. May this miracle be realized! You, Becky, and your family are in my prayers. I just posted a link to your blog asking my 1008 followers to please help you find a donor for Becky. 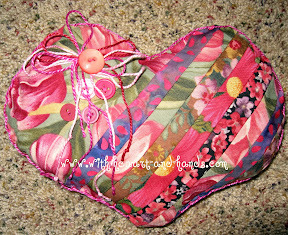 I added the pic and link to by blog sidebar. I am keeping your SIL in my prayers. Prayers being sent. . . . posted a prayer request on my blog as well. . . . I will pray for your sister in law. Prayers riding on these gentle winds for Rebeccaʻs family, which I know is all of us. Regrets — my blood type is not O+. I will add this prayer request to my Sunday Prayer Request blog. We believe in miracles and are honored to participate in helping your SIL find her Miracle! Your family and your friends are in my thoughts and prayers. I admire your willingness to reach out. There is power in numbers! Sending hugs, positive thoughts and prayers to Doug, Becky, their children and all of your family. All the prayers in the world to you and your family. This is such a story and it makes me count our own blessings and send our thoughts for full recovery to all of your family members. I worked as a nurse practitioner for Doug at his Eagle River office 2004-06. He was a wonderful and patient mentor and is a deeply compassionate and caring physician. I remember holding down the fort for him so he could be with Becky while she had a procedure out of state. His strong love for her was and is very touching. I'm glad Doug is doing better, and my thoughts and prayers are with them both. They are very special people.